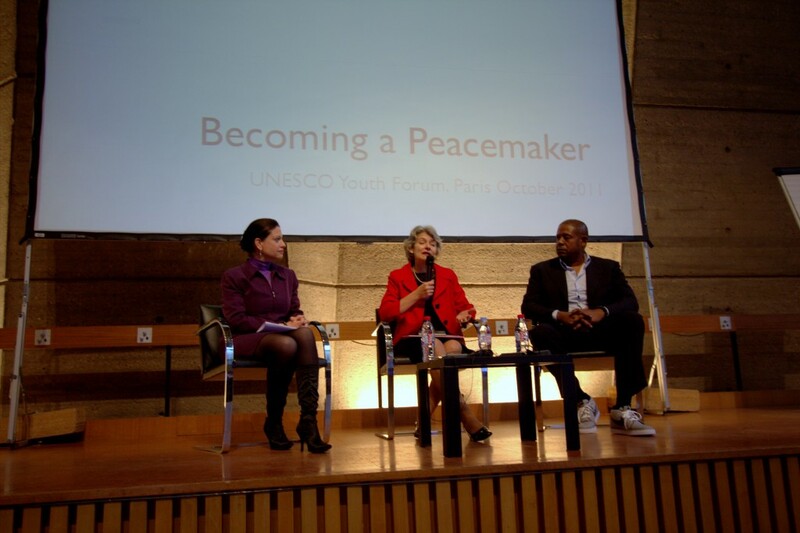 Ms. Irina Bokova (director general of UNESCO) and Forest Whitaker (American Actor) encouraged the youth participants to dare to dream. Do we take a break sometimes to ask ourselves, “Am I a peace maker or at least not a violence maker?” At this moment, I’m contemplating about this. A few weeks after I got selected as one of the 10 youth journalists/bloggers for the 7th UNESCO Youth Forum, here I am in Paris with 245 youth delegates from all the world. All I knew at that moment was that the world was here. I know you think I’m a lucky girl who does not need to travel to all those countries to meet all these young people. I admit that I have even never heard of some countries represented in the forum. “Together we can shape our future” was said by Forest Whitaker, the UNESCO goodwill ambassador with the presence of all the youth delegates. One fact about the UNESCO is that there are 193 member states, but I am not perfectly sure if I have seen youth delegates from North Korea or Burma. The main theme of the forum today morning was “How youth can drive change?” which really woke me up, and I couldn’t stop asking myself a question as to whether as a person I have made change in where I live or wherever I am? or how much change I’ve made? Last but not least, am I doing enough? 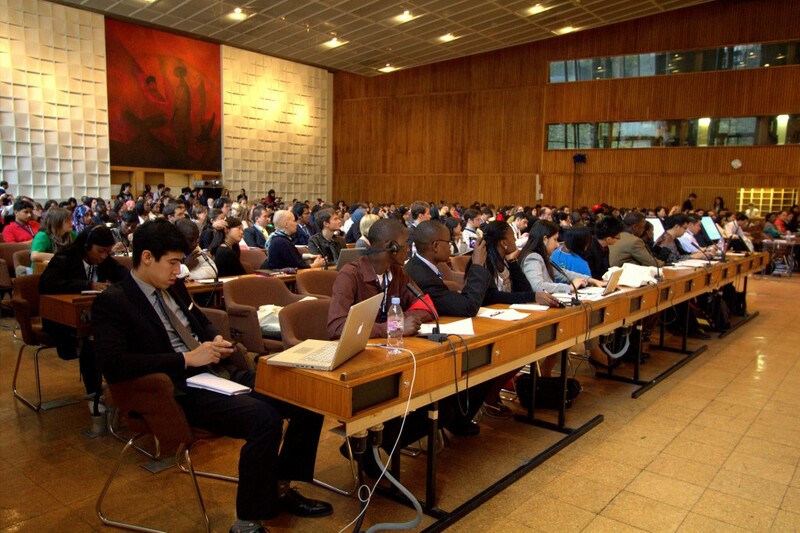 Youth delegates from all the world this morning attended the 7th UNESCO Youth Forum held in Paris. They are ready to fight what comes ahead. This morning, I saw how diverse we are in terms of physical appearances, countries, professions and goals in life. However, there is something that will surely connect us all. That is the aspiration or desire to have peace within ourselves and our communities. All the youth are here to connect and understand each other no matter where they are from. Also, the workshop on “Conflict Resolution and Reconciliation” conducted by Forest Whitaker and his team opened my eyes wider to similarities between all of us despite our origins. Peace, conflict and war were focused at the workshop. It’s not that we enjoyed talking about conflict, but it’s somehow a natural thing to have, as Aldo, one of the speakers, this morning mentioned in the workshop. Yet peace isn’t impossible but merely a choice made by any one of us. As far as I was told about the UNESCO Youth Forum, it looks like it has become much more of an interactive platform for young people from all the world to share ideas and dreams. Something that I noticed brought out the happy mood of the youth participants after lunch =)) was another workshop on social media and how big organizations like UNESCO have paid attention to social media and used it to listen to the voices of the youth. Pretty cool that the a huge body like UNESCO is integrating social media into their work. 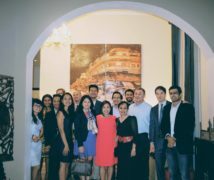 What about you and your organization? Wait, wait. Take a deep breath and think of what you’ve read. By the end of the day, the youth I’ve interviewed asked the same question that I’d had in mind. “How can we youth really get our voices heard and solutions we’ve come up with implemented by our government?” And, the answer is, you can guess it, very simple. The change all starts from every one of us young people who are the future leaders and who make up (more than) half of the world population. That’s it?? That’s not it, but it needs real actions and practice, not just words that can be gone with the wind, I believe. And here we are selecting our youth representatives to tell our stories to the world. 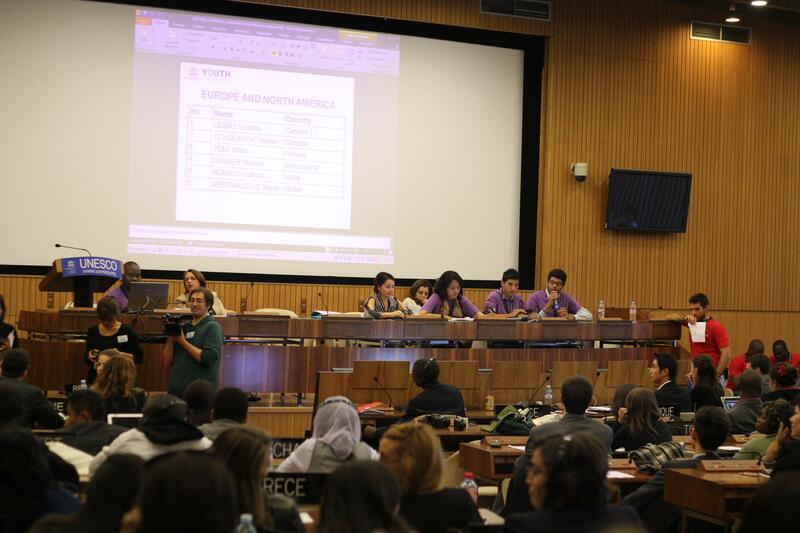 Five representatives were selected in this youth assembly. I remember I dreamt of joining a large-scale meeting like this one after watching it on International News I had back at home. And, this time it was so real as I was there in person looking at these young people like myself representing their countries with the country tags in front of themselves! Join our on-going discussion on How youth around the world drive change by using the hashtag #UNESCOYOUTH. This UNESCO page can tell you more how you can engage. 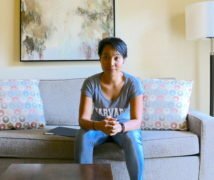 Voxpop on: Why should the policy makers listen to young people? I am really to attend the youth forum. Please share how to attend the program.